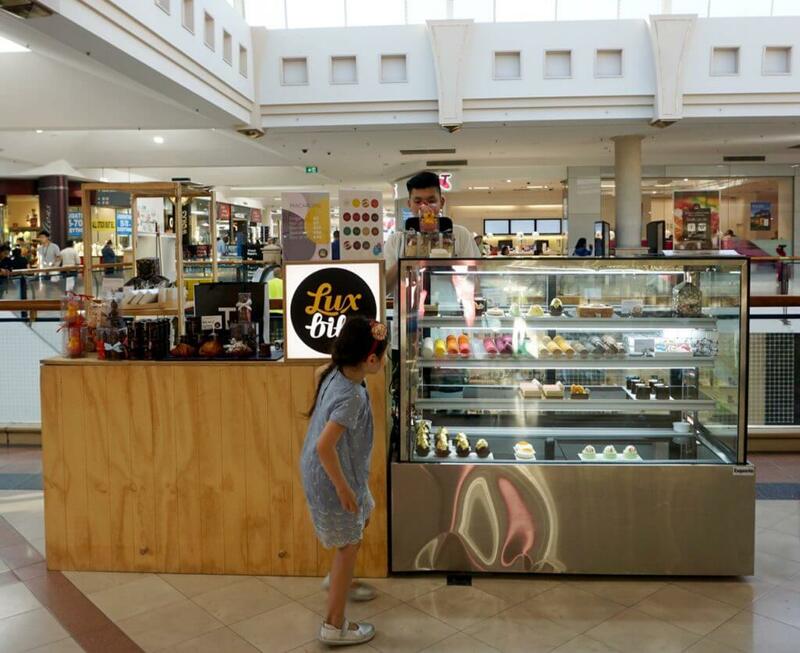 LuxBite is one of my favourite artisan patisseries and bakeries in Melbourne – so I’m VERY excited that they’ve made the journey west to Highpoint Shopping Centre. 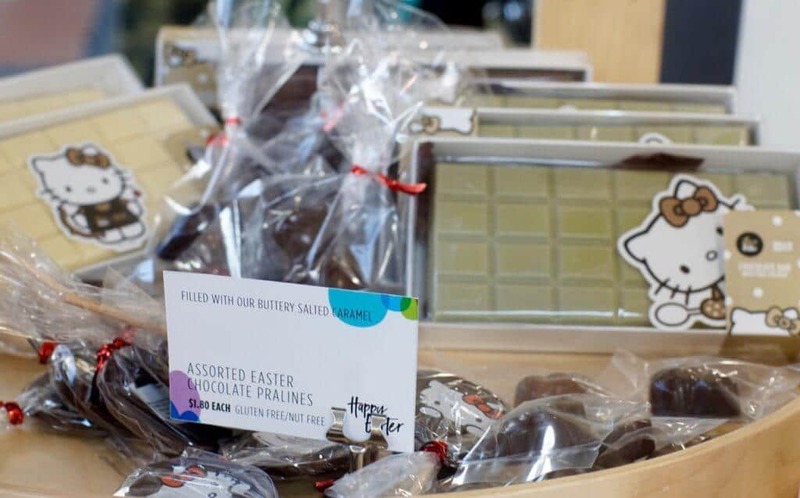 From Wednesday 12 April until Sunday 4 June (at this stage) they have a pop up stall on Level 3 of Highpoint, near Toys R Us and the atrium area. No longer do I have to trek to South Yarra or the CBD for my sweet treats. 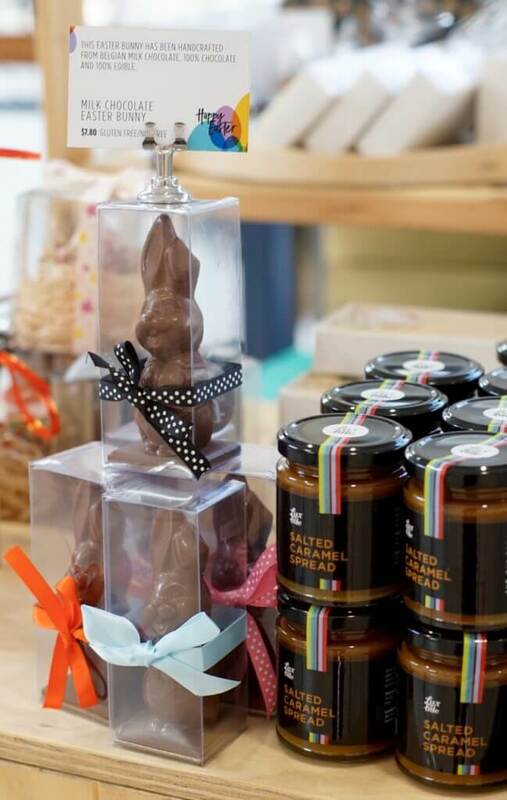 At the drool-worthy cake cabinet you’ll find their selection of limited edition handmade Easter treats. Look at this lineup of cute cakes! 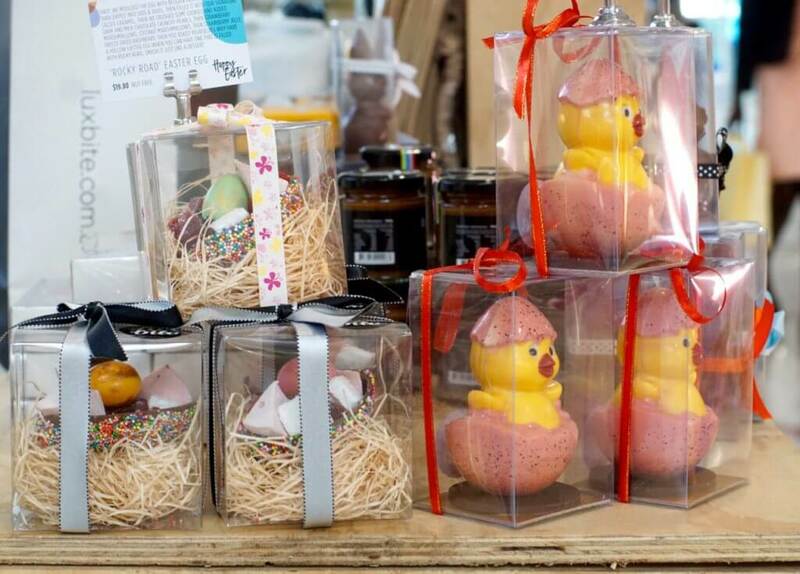 Try the Egg-stremely Excellent Egg, Golden Easter Egg, Butts Bunny and Chick Me Out! You’ll also find their ‘Lolly Bag Cake’, consisting of layers of nostalgic childhood sweets and made famous on Masterchef. It starts with a banana lolly jaconde, freckles crunch, mandarin jaffa ganache, spearmint leaf buttercream, another layer of ganache flavoured with musk sticks and topped with a redskins glaze. My kids adore the products from their collaboration with Hello Kitty whereas I am a raving fan of their recently released selection of viennoiserie. Their croissants and pastries are so buttery and flaky with a distinct crackle when you break them open. Make sure you leave room for their pandan canele too! Finally, LuxBite are famous for their macarons, which are always consistently excellent in texture. Their rainbow cabinet of interesting flavour combinations exemplifies their passion in combining French technique with Asian ingredients. 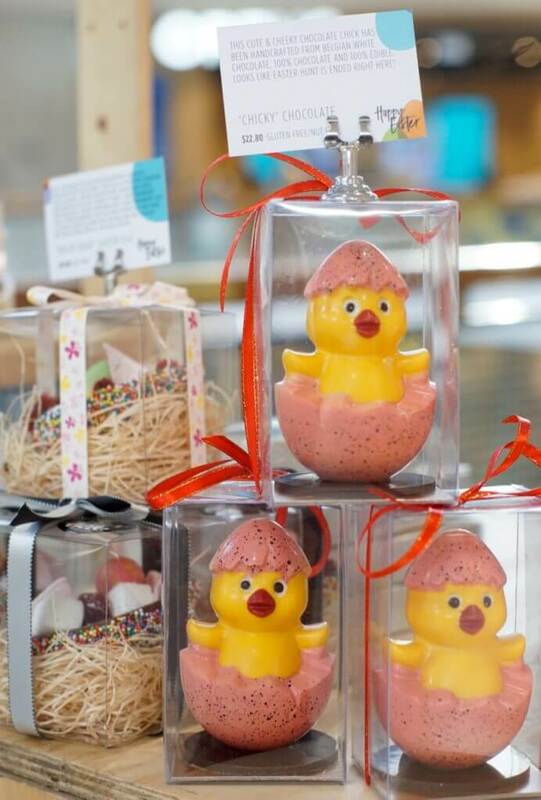 They also have an Easter special – a chocolate freckle macaron in the shape of a hot cross bun.